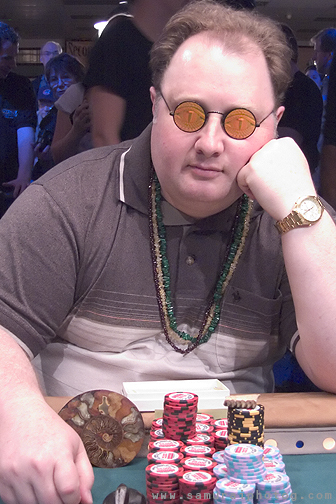 This photo was taken the afternoon of the final table at the 2004 WSOP. I had just met Greg the week before, and had made a point of photographing him each time I made a circuit of the casino. I asked him if he wouldn't mind posing for me with his pile of chips, and he cheerfully obliged. When he won the event, I was incredibly happy for him. Eventually, this photo became the image on a commemorative poker chip.